Everyone need a picnic. Who doesn't love picnic time? 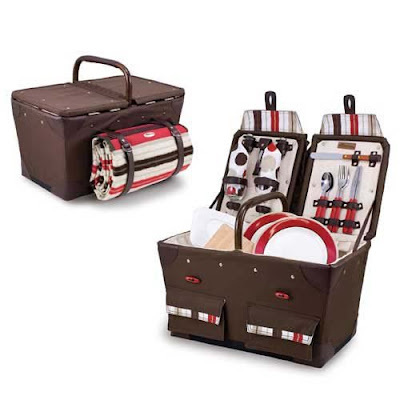 For those who like to picnic in more adventurous settings, the Pioneer - Moka picnic basket is just the right accessory. Lightweight and durable, this basket is an original Picnic Time design that features a rattan frame, fully-lined canvas interior, and a genuine leather wrapped handle for comfort. The basket is equipped with a double lid, two front pockets, and a reinforced water-resistant base.